It had been well over a year since we had visited this site and looking back the photos we got were a bit crap, so it was ideal for a second visit. On our first visit we had been caught and told that he (the land owner) had places "Small cameras about the size of my fist, in those trees" which is, safe to say, a load of crap after spending a good few hours here on this visit. 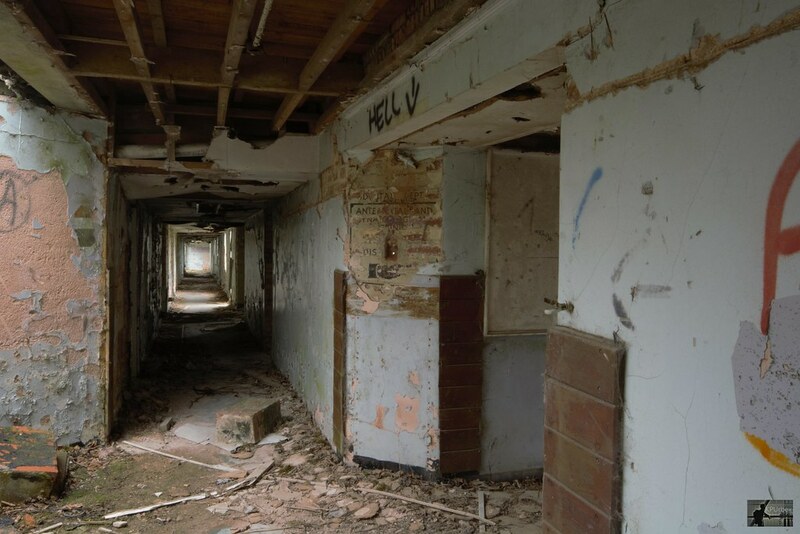 The hospital itself opened for medical use in June 1947 and was built on the grounds of a Grade II listed hall. 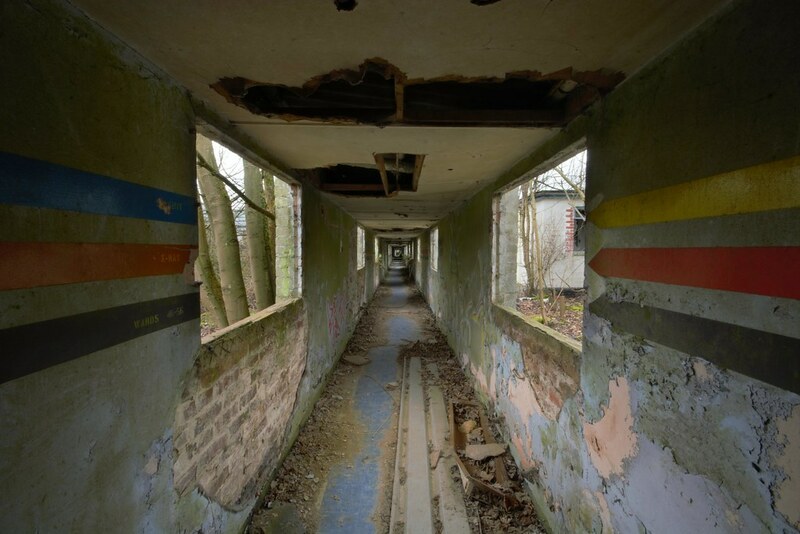 Housing over 700 patients and serving a large number of RAF bases which provided care for those sering in the military and the families related. 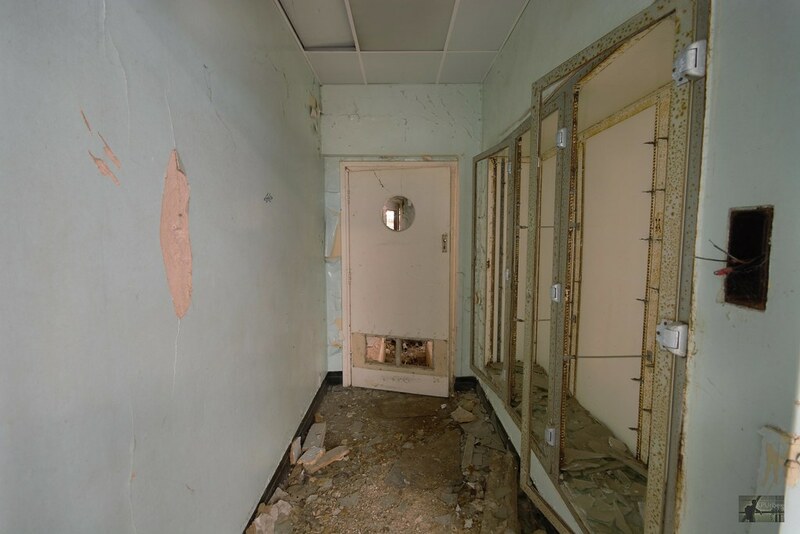 The hospital provided Dental, Opthalmic, Maternity and surgical services (With the twin operating theatres still able to be made out.) throughout its usage. 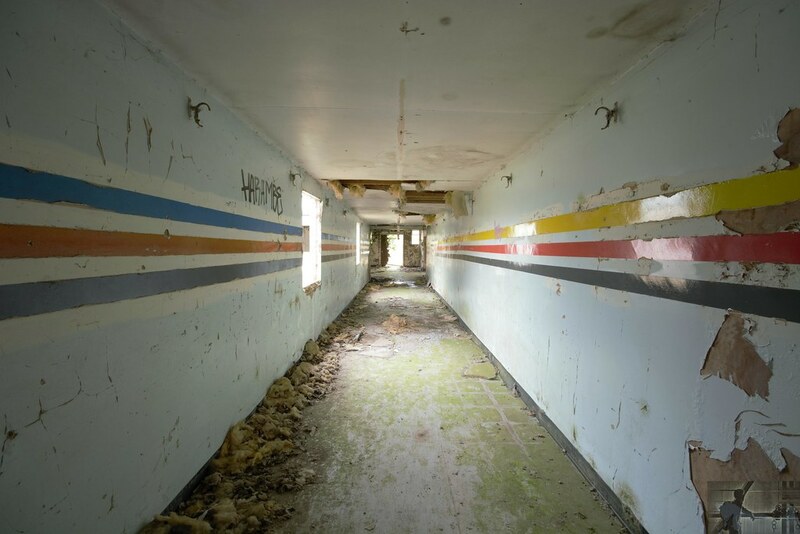 In 1984 the hospital was given the the USAF (United States AirForce) during the Gulf war although treated very few casualties and in the later day only around 13 staff stayed to keep it in operation. 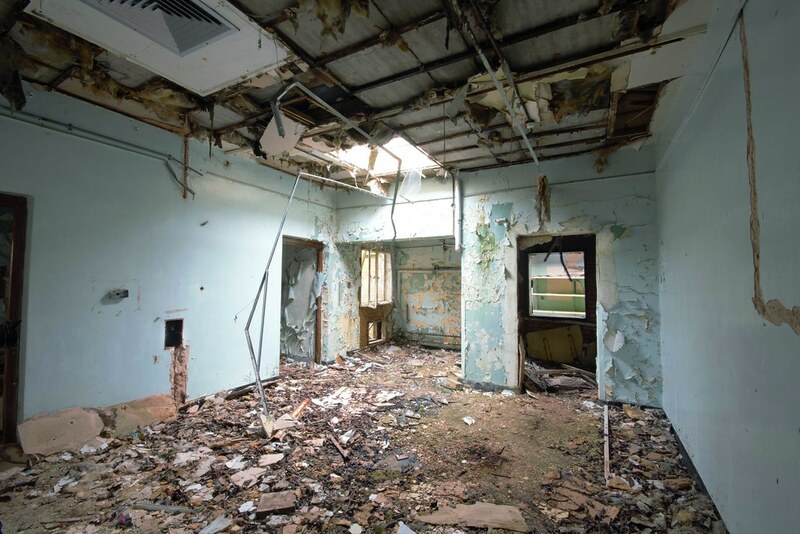 In 1995 the hospital was handed back to the RAF and was closed after. After being sold to several owners, little has taken place. Today there are few plans for the site apart for training police dogs has no more use. 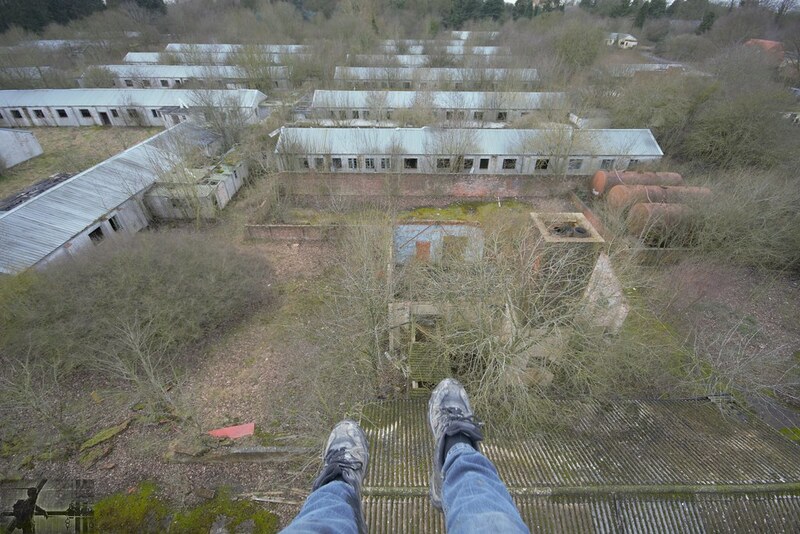 The explore is very relaxed and once over the fence and covered in anti-climb paint we wandered down the stunning and unusual hallways. Starting off on a high. The water tower. 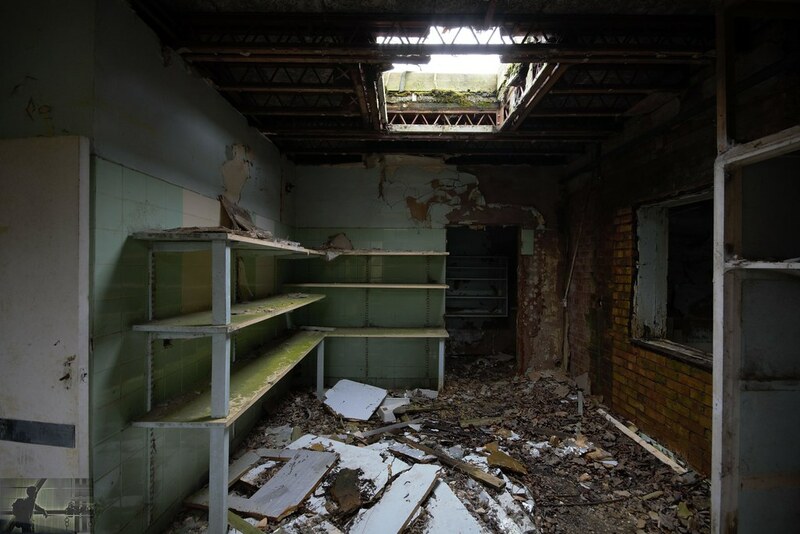 What remains of the less vandalised operating theater. The old glass equipment cabinets. 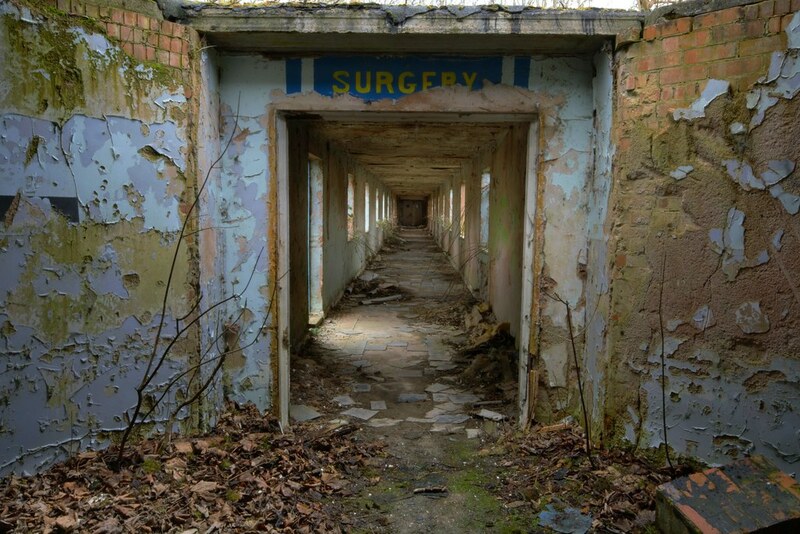 Corridor inviting you down to the surgery wing. 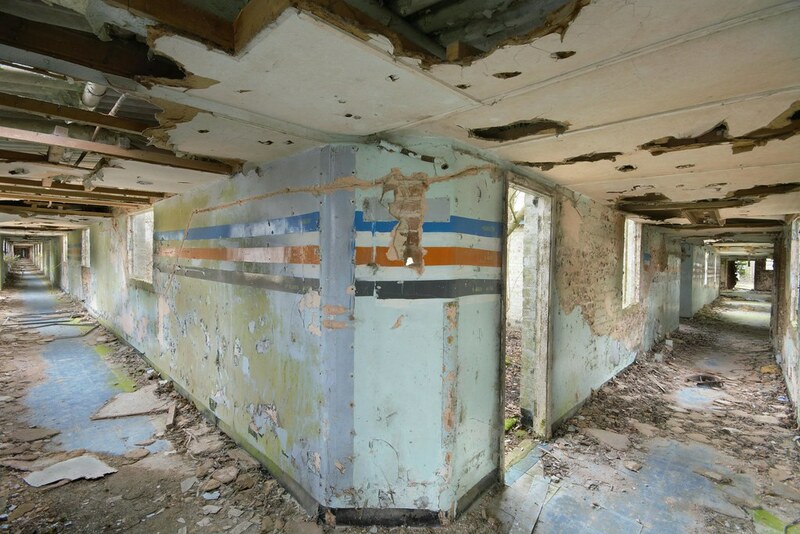 Connecting section with a decayed notice about the dental wing. Arrows Curing round a bend. 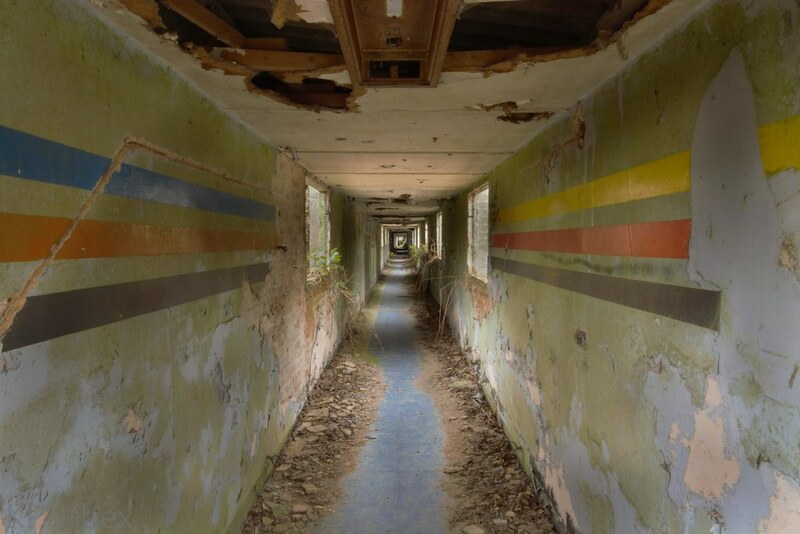 A blue, lesser decayed, hallway. Thats cool, like your first shot! I went by there a couple of weeks ago and could see a a few white vans in there and guys with orange safety vests and helmets, looked the same as some others cutting trees at the roadside out near wasps nests way but couldn't hear anything and set back off after 10 mins. Was quite warm on the day, thanks. The places i well maintained around its boarder. Probably nothing to do with security efforts. Good mooch in there, slowly being more vandalised.